In the context of financial inclusion, fintech holds tremendous potential. These solutions are challenging old business models as they are provided with greater speed, accountability, efficiency, and at a cheaper cost. For consumers that live in rural locations or regions without the equipment and infrastructure of a modern economy, access to financial products and services is becoming more attainable than ever thanks to mobile phones and cellular networks. One relevant example is the case of Kenya’s M-Pesa payment system. Launched in 2007 by Vodafone for Safaricom and Vodacom, the largest mobile network operations in Kenya and Tanzania, M-Pesa is a mobile phone-based money transfer, financing and microfinancing service. The service allows users to deposit money into an account stores on their cellphones, to send balances using PIN-secured SMS text messages to other users, including sellers of goods and services, and to redeem deposits for regular money. Customers can deposit and withdraw money from a network of agents that includes airtime resellers and retail outlets acting as banking agents. M-Pesa has spread quickly, and by 2010, it had become the most successful mobile phone-based financial service in the developing world. Today, M-Pesa operates in numerous markets including Afghanistan, South Africa, Mozambique, Lesotho, Egypt, India and Eastern Europe. In the remittance area, traditional money transfer providers such as MoneyGram or Western Union are expensive and inconvenient. New companies like World Remit, Azimo, Remitly and Xoom are simplifying this process by allowing users to send money around the world via a mobile phone for a fraction of the costs of what a traditional vendor would typically charge. Another area that fintech companies are tackling is access to credit. In most developing countries where the vast majority of the population is unbanked, it can become a challenge for individuals and businesses to get a loan. In particular, credit history can be a huge road block for people that have never dealt with a financial institution before. 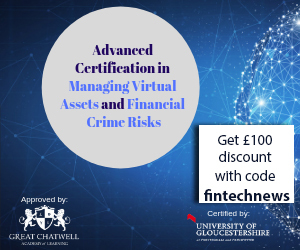 Companies such as Lenddo are providing an alternative way for banks and financial institutions to assess one’s creditworthiness. Instead of using traditional data to determine whether an individual is a good payer or not, Lenddo uses social networks and other data such as Facebook, Linkedin, Google, Yahoo and Twitter to prove one’s identity and creditworthiness. Founded in 2011, Lenddo now operates in 20 different countries including India, South Korea, Mexico and Colombia. 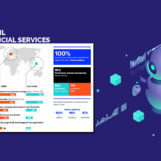 Similarly, TrustingSocial aims to serve the world’s unbanked populations by leveraging big data and machine learning technology to measure creditworthiness. It uses data from popular social networks and telecom operators. 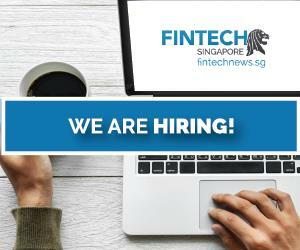 In light of the tremendous opportunities that fintech brings to the financially excluded, the FintechStage Inclusion Forum on March 22, 23 and 24 in Jakarta will bring together fintech startups, investors, financial institutions and regulators to help accelerate the international collaborative movement to eradicate financial exclusion. 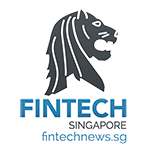 Sponsored by the Bill & Melinda Foundation and the Omidyar Network and powered by FintechStage, the forum aims to create and showcase best regulatory practices leading to financial inclusion, as well as foster national programs to drive financial inclusion. It also seeks help boost investment and development of innovative services and solutions to support the mission. 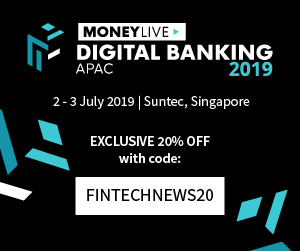 Speakers will include Darmin Nasution, Coordinating Minister of Economics Affairs in Indonesia, Muliaman H. Hadad, Chairman of OJK Board of Commissioners of Indonesia, as well as Sopnendu Mohanti, Chief Fintech Officer at the Monetary Authority of Singapore, and Benno Ndulu, Governor of the Central Bank of Tanzania. Featured image: Traditional African Zulu woman speaking on mobile cell phone telephone in rural KwaZulu-Natal, by Africa Rising, via Shutterstock.com. Great article! Blockchain and alternative credit scoring will definitely move the needle in the right direction when it comes to financial inclusion. A particular example of the latter is EFL Global. They have assessed almost 1M people and helped disbursed $1B to the unbanked using only psychometrics.